Kings Court is one of the streets in the Harrow postal district of Middlesex. 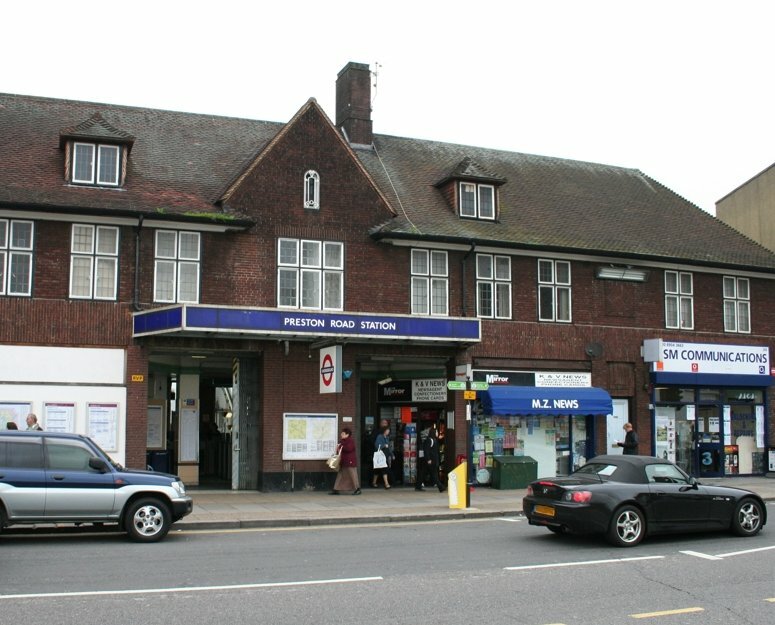 Preston Road - originally just ’Preston’ - is situated west along the Metropolitan Line from Wembley Park. Preston, meaning ’the farm belonging to the priest’, began as a small settlement at Preston Green, just south west of the Lidding or Wealdstone Brook, south of Kenton. It was first mentioned in 1220. The name may come from an estate given to Abbot Stidberht by King Offa of Mercia in 767, but any connection with Preston Road as a rural lanethe Church had been lost by 1086. Preston was a township by 1231. By the mid-15th century Preston consisted of two farms and a few cottages. The northern farm belonged to the Lyon family from the late 14th century and is described as being a beautiful building in 1547. 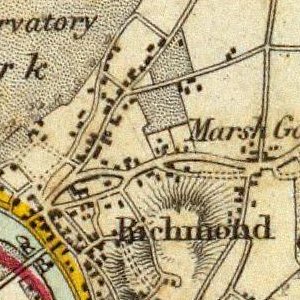 It was probably the birthplace of John Lyon (1534-92), a considerable local landowner who founded Harrow School in 1572. After his death the farm was given as an endowment for the upkeep of the school. It was rebuilt around 1700. The southern farm was originally known as Preston Dicket and later as Preston Farm. which was licensed in 1751. The district did not change significantly in the 19th century. The agricultural depression after the Napoleonic Wars led to an outbreak of violence in the area around 1828, when desperate agricultural labourers burnt haystacks and threatened local landowners, including the relatively benevolent Lord Northwick. 64 people lived in Preston in 1831 and 57 in 1851. In 1851 the ’Rose & Crown’ beerhouse is mentioned at the top of Preston Hill (beerhouses flourished from 1830 to 1869 and were intended to discourage the sale of spirits). It appears to have been part of Hillside Farm, and is never mentioned again. Preston House was leased to various professional men during the 19th century, including a surgeon, a cigar importer and a solicitor. In 1864 two villas replaced the four nearby cottages. Around 1880 Preston House was acquired by George Timms, who turned the grounds into Preston Tea Gardens. The Tea Gardens flourished well into the next century. The Metropolitan Railway had no effect on development, even after the opening of Wembley Park station in 1894. In 1896 the suggestion that a station should be built serving Preston was rejected because the local population was so small. 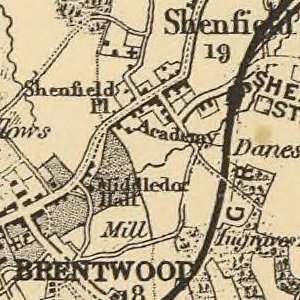 Indeed even in the early 20th century the area was entirely rural, and the Wealdstone Brook could be described as "one of the most perfect little streams anywhere, abounding in dace and roach." used for Olympic clay pigeon shooting. Pressure from the shooting club, which was a two mile walk from the nearest station, played a part in the opening of Preston Road Halt on 21 May 1908. The station was a halt (a request stop) and initially many trains failed to slow down enough to enable the driver to notice passengers waiting on the platform. Preston Road Halt triggered the first commuter development in the district. Some large Edwardian houses were built along Preston Road after 1910 and Harrow Golf Club opened near the station in 1912. 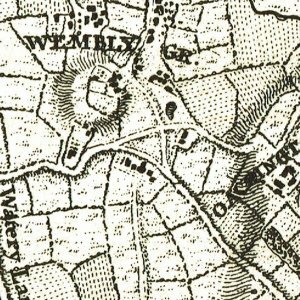 Wembley Golf Club had already existed on the southern slopes of Barn Hill from about 1895. Both these golf courses would disappear under housing between the wars. Further development in Preston came after the 1924-5 British Empire Exhibition. Roads in the area were prone to flooding, and the Exhibition led to significant and much needed improvements. estates in the period 1921-33. Forty Green began being built over as early as 1923-4 and housing spread along Preston Road and Preston Hill in the three years that followed. Shops appeared in 1927-8 and a pub, the ’Preston Park Hotel’ was opened in the late 1920s. Preston Road was converted into a proper station in 1931-2. The line was electrified soon after and the station slightly re-sited. By now it was certain that the heart of Preston would be to the south of the old green. Many more shops appeared around the station in 1931-3 and 1936-8. Most housing developments occurred in the 1930s. By 1936 Preston was being described as "a high class and rapidly growing residential area with a population of between 6000 and 7000 people." A primary school was created to serve this population in 1932 and a secondary school in 1938. In the 1930s many Jewish people, the majority members of the United Synagogue, moved into the Preston area. There is still a strong Jewish presence today. By 1951 Preston’s population had risen to 12,408, although it declined somewhat thereafter. 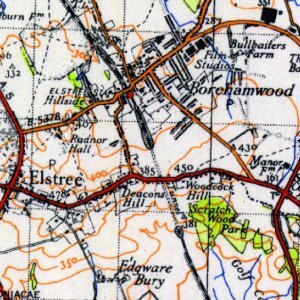 Post-war housing was built north and east of Preston Road and a number of prefabs, a temporary solution to homelessness, stood at Tenterden Close, Woodcock Hill, until the late 1960s. Proposals for an Anglican church at Preston had been published in 1936, but the war intervened and the Church of the Ascension was not consecrated until 1957. By the early 1960s all of Preston’s old buildings had been lost. Lyon’s Farm was demolished in 1960, despite earlier plans to preserve it. Hillside farmhouse went in 1961 and Preston House was demolished in 1962-3. Both of these buildings were replaced by blocks of flats. Despite these losses Preston is a pleasant and prosperous-looking place that has retained its original atmosphere.